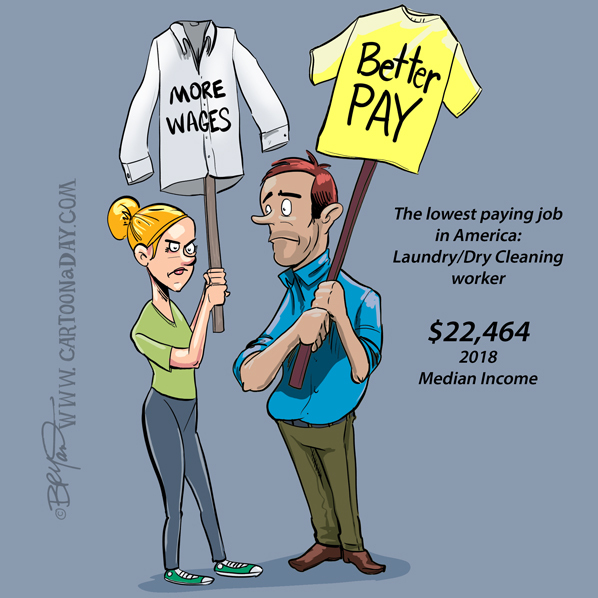 According to 27/7 Wall Street and USA Today, the lowest paying job of 2018 is Laundry and Dry Cleaning worker. The median pay for 2018 was only $22,464. That’s hardly a living wage. These cartoon dry cleaners are protesting as they should.